Ipe hardwood decking in the UK has always been the mainstay of choice and represents durability and stability when designing a decking platform. This, coupled with the “Magnet System”, makes for a sensible terraced decking option and becoming the “go to” choice for contractors. System joists, clips and pedestals are all part of this decking system. The longevity is brought about by the natural durability of this superior hardwood from Brazil. It grows incredibly slowly and has a lifespan which far surpasses many similar timbers. Tabebuia Serratifolia is the Latin name for this magnificent timber and although it has many names around the world, it is best known as Ipe. 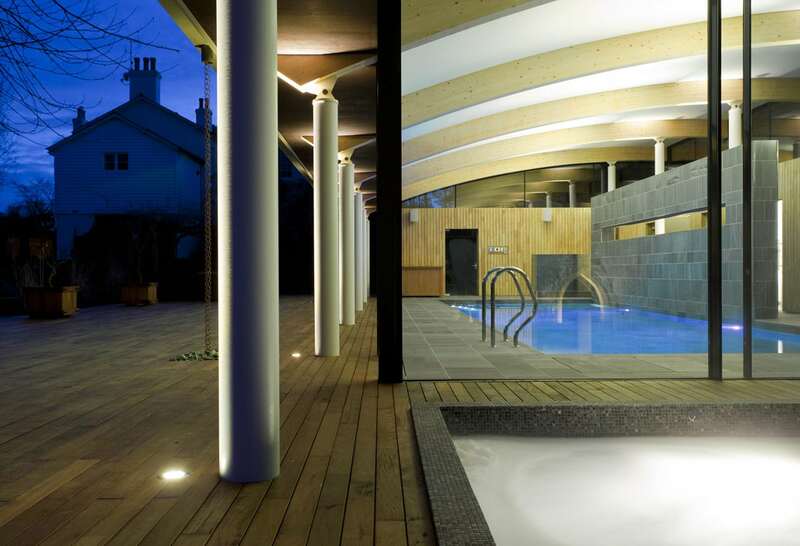 This Ipe decking has been designed in a contemporary manner to wrap the perimeter of this stand-alone building which houses a swimming pool and spa. 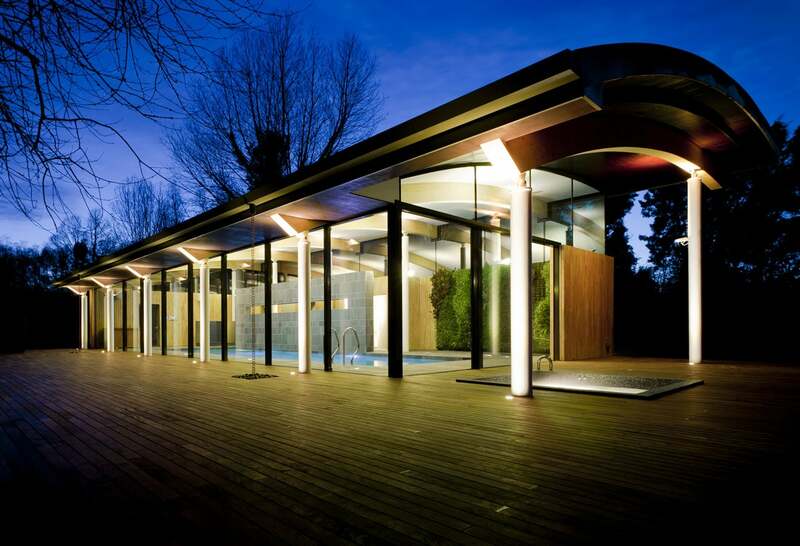 A curved aluminium roof flows over the pool on minimal steel pillars and arching glulam beams. Its curved form presents a feeling of height inside while reducing the visible elevation of the building from the outside. 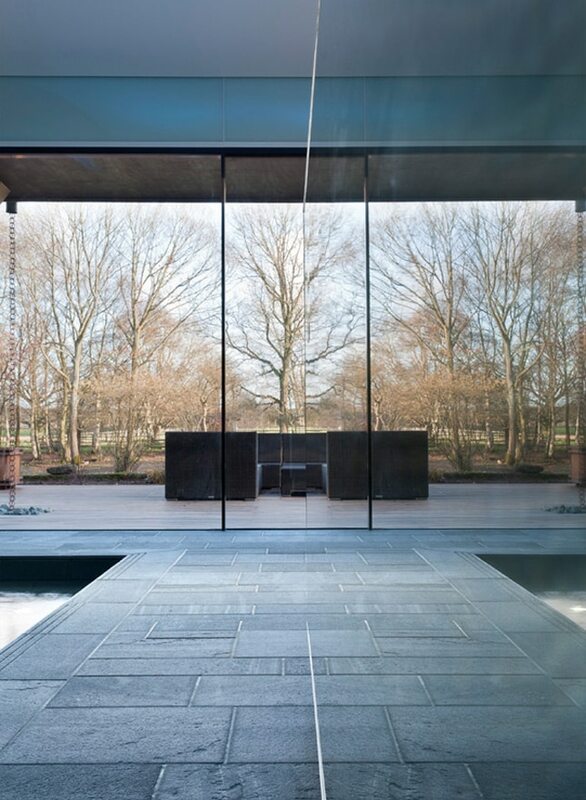 The panoramic view is a testimony to the incredible glazing custom design and installation by IQ Glass based in Amersham. Exterior Solutions has been supplying many decking products in composite, hardwood and modified timber such as Accoya® and Kebony®. The revolution of decking has been driven by the constant updating and research of the very best ways to install decking by Exterpark. 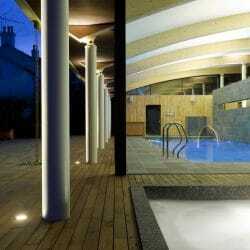 Exterpark decking systems have been distributed in the UK by Exterior Solutions Ltd since 2003. Exterpark Magnet is the most revolutionary decking system available. Conforming to the NHBC 60 code of practice and is specified around the work as the best decking solution there is. Accoya®, Kebony®, Teak, Ipe, Iroko is some of the decking timber available. All fitted over specialist aluminium joists and fitted with invisible clips. 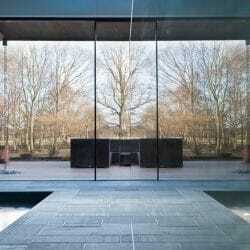 This makes the system the most durable and certainly the most accessible and efficient installation there is.